This competition will give you all the chance to show what you may have created, or what you want to create, from the house to the host, it's up to you. Here are the requirements. Players will get to vote for which series they like the best besides their own, and the winner will be crowned in two months time. To begin reply to this thread: "(Series title) Start"
The house is unlike anything we have seen in Big Brother down under. 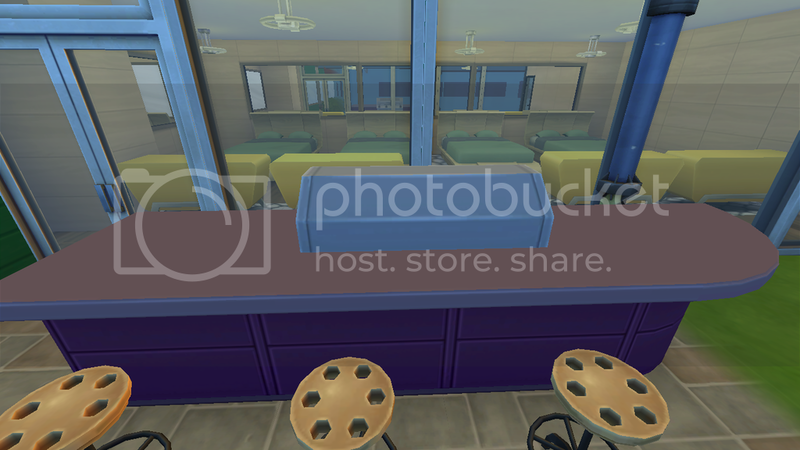 The theme is no privacy, you can see that all the doors (except the toilet doors) are see through and the amazing dining table and chairs are see through to! There is a long glass panel were you can see into the bedroom and bathroom from the garden. 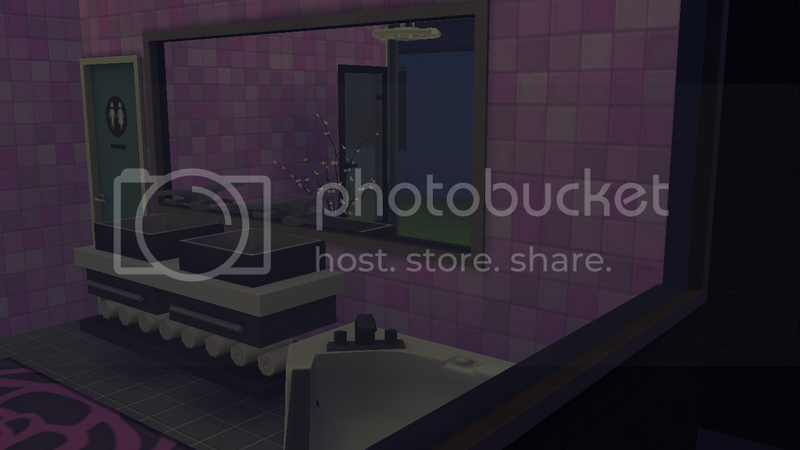 Another cool design feature is that every room in the house has a color, The lounge is red, the kitchen/dining is green, the bedroom is yellow and the bathroom is pink. Something new that will be brought into this season is the Jail Cell in the backyard, when housemates break the rules Big Brother can send them to the jail cell. The best part of the cell is that there is a toilet and a bed so they can stay in there for as long as BB wants! ^ My favourite part of the house... The jail cell! As the series still has another month till launch we are just testing some of the screens in the studio. As it is season 13, BB has decided that the number 13 will be the theme of the season. 13 is unlucky for some and 13 is lucky to the others... Hmm what does that mean? well this year big brother will be dividing the house into 2, The lucky and the unlucky. The two teams will be voted by the public on night one. The first part of the 13th twist is if you are in the Lucky team you will get to spend your first week in luxury inside the house while if you're on the unlucky side you will be spending your first week in the backyard. The main part of the 13th twist is that if a housemate from the lucky side wins BB they win $1 million dollars but if someone on the unlucky side wins they win $1 dollar. Their are times in the game were housemates will switch teams... if they're lucky! Channel 7 has taken its turn to air BB after the train wreck of BB11. Season 13 starting in 2017 after Channel 9's latest and last series (BB12) in 2016. They have tried to move away from the previous series and try to brand it as "Completely changed, Same BB." C7 have made the decision to air BB as the failure of Restaurant Revolution there was nothing planned in the third term of the year. A new host hasn't been decided just yet. ^ The Jail Cell is now a heated seating area for our celebs to warm up. ^ And the layout of the house. 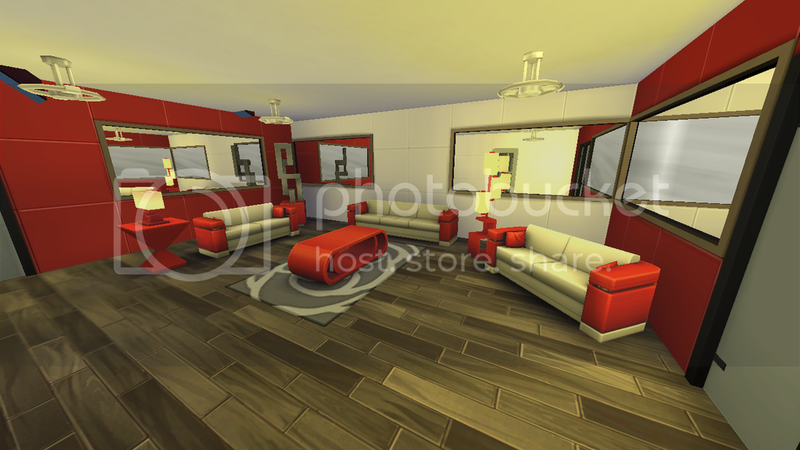 You're so good at this kind of thing, THe only thing I don't like is the bathroom, bit small, bit too suburban, otherwise I love it, chuck these designs in the "Virtual BB Houses Thread"
This idea will be based around the UK version of Big Brother. Big Brother returns for the seventeenth series of the almighty reality format, returning key elements to the table, some that have been missing for a long time. Channel 5 return Big Brother to the rightful June launch. Big Brother would begin on Wednesday 1st June 2016 before coming to an end on Monday 15th August 2015, meaning this series will last a total of 76 day, the longest run on Channel 5 ever. Zero Contact: Something that is missing from the current format Big Brother holds is the consistant outside contact. Big Brother will be cutting all communication from the outside world from the moment the Housemates walk through the doors. Only two voices will exist for Big Brother. The two voices will be the only ones ever heard by the Housemates besides Emma on eviction night. There will also be a strict ban on outside information based tasks. The Housemates will not be permitted to hear anything about public opinions or understand their public perception. They will only communicate with each other and Big Brother. Nominations: Housemates will take part in weekly nominations. The nominations process will begin at 10am on Sunday and all Housemates will sit on the sofas until the process has been completed. The results will then be revealed to the House and the public vote opened. There will be no save and replace nor will there be any chance to change the nominations line up. All nominations are final. Shopping Tasks: Shopping tasks will take place on Monday and Tuesday and will feature a range of tasks including mental and physical games. 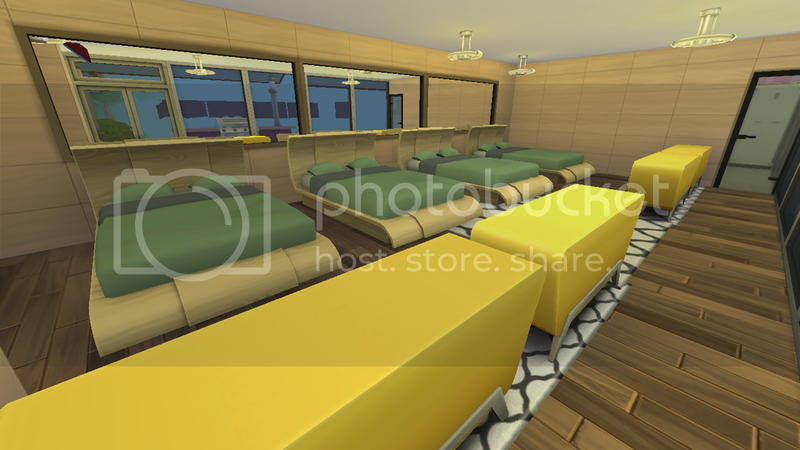 Eviction/Ejection Process: Housemates will be gathered on the sofas on Friday evenings to hear the results of the public vote. Emma's voice will be heard in the lounge and the Housemates will hear the results. Once the Housemate who has been evicted has been announced, the Housemates will then have 30 minutes between shows. Emma will then announce that the Housemates time is up and that they are leaving the House. Housemates will say their goodbyes and the Housemate will leave the House. 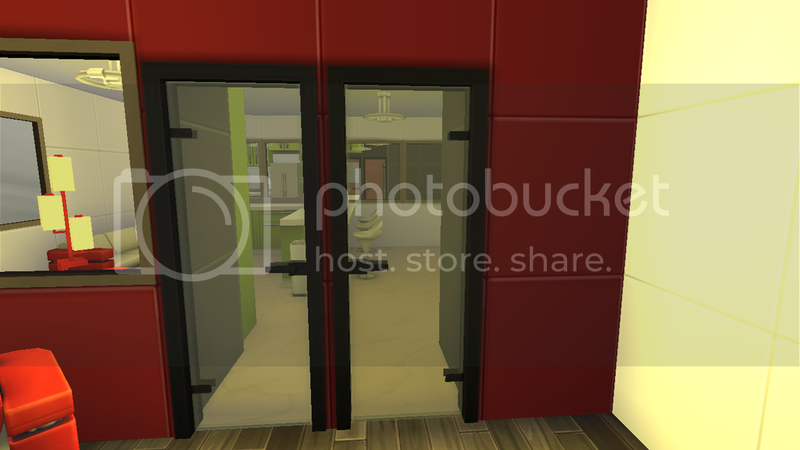 The evictee cannot exit through the door until the door to the vestibule is closed and Big Brother has locked it. This decision is final. If a Housemate wishes to leave the House of their own accord, they must do so through consultation with Big Brother. Big Brother will only accept their request once. Once the request is made they will return to the House to pack their belongings within an hour. As this series would see a dystopian Big Brother, things would be even more evil and tougher than before. Big Brother's living space has been reduced to cause a cramped and even more claustrophobic feeling than ever before. Big Brother will be bringing back the fine system, with no chance of returning money to the £150,000 prize fund on offer. Housemates will be fined various amounts if they break a fundimental rule. Big Brother will also use the strike system. If a Housemate gets three strikes they will be ejected from the House. Big Brother will also be implimeting a prison type routine for any rule breakers. Big Brother has installed solitary confinment behind the Diary Room where their clothes will be replaced with uniforms and their food will be basic rations cooked and provided by Big Brother. In the main House, the Housemates will live in each others laps as there is nowhere to hide. With multiple see through walls it gives the false sense of space. Airs: Saturday - Thursday at 10pm. A round up of the past 24 hours inside the Big Brother House with a look at the latest tasks, rows and diary room action. Airs: Friday at 9pm and 10:30pm. Emma Willis returns to present the live eviction shows for Big Brother 2016. At 9pm, Emma will host the highlights from the past 24 hours in the House and announce the results of the public vote. In the second show, the evictee will leave the House and will be interviewed by Emma about their time in the House. Rylan Clark returns as the host of Big Brother's Bit on the Side. Between Monday and Friday, the show airs at 11pm on Channel 5 for an hour with an exclusive look behind the scenes of Big Brother, audience debate, a celebrity panel and psychological analysis. Big Brother's Bit on the Side will then return on Sunday at 12:15pm for a lunch time special where Rylan will invite the evictee back to the studio for an in-depth interview about their time in the House, plus a look at how the weekly shopping task was formed, camera run exclusives, Diary Room uncut and Bit on the Psych, which returns in a 15 minute segment. Channel 5 will bring back Nominations Uncut for the new series. This will give an exclusive extended look at how the Housemates nominated and their full reasons, plus a look at the fall out after the results of the nominations were revealed to the group. Moving right ahead with this project, I'm proud to reveal my new and unique exterior stage. The new stage removes the Channel 5 eye stage completely and introduces a new design which is flexible and easily changes to the theme of the show. The exterior boasts a large modern look this time. Let's begin with an overall look at the new stage. The new stage features an extended catwalk past the presenting podium, and the large orbit stage moved to the opposite side of the House. The catwalk has been extended and will allow for the Housemates to be introduced through the use of the iconic Big Brother cars. The door to the Big Brother House has been lowered to the level of the stage, and is surrounded by squares and an eye shape over the catwalk. Two screens are at either side of the door. For the Housemates as they walk out of the door, this will be the view they get. The two stands are for friends and family & celebrity guests who attend the live shows. Moving onto the circular podium at the bottom, the main orbit stage is visible. The design is very basic and is designed around squares and circuits. The stage itself has a large screen at the back, the sides of the stage have screens that can display different things as well as having the eye shape over the interview area. As Housemates walk onto the stage and through the famous double doors, they enter the entrance hall. With a few steps to get to ground level, the House's theme starts to leak through. Dystopia and horrific futuristic discomfort will engulf the Housemates throughout their time in the House. The new House is one of the smallest ever designed for the Housemates to live in, with minimal furniture and bright futuristic designs will they be able to survive the full 11 weeks and walk out as the winner of Big Brother with £150,000 to their name? Housemates have said goodbye to their friends and family and have walked through the famous doors into the Big Brother House. As the double doors shut behind them, the futuristic design and nightmare begins. A white room with neon lighting on either side engulfs the Housemates, with lights under the steps on the few steps down to ground level. Housemates will then walk through the door into the vestibule area of the House. 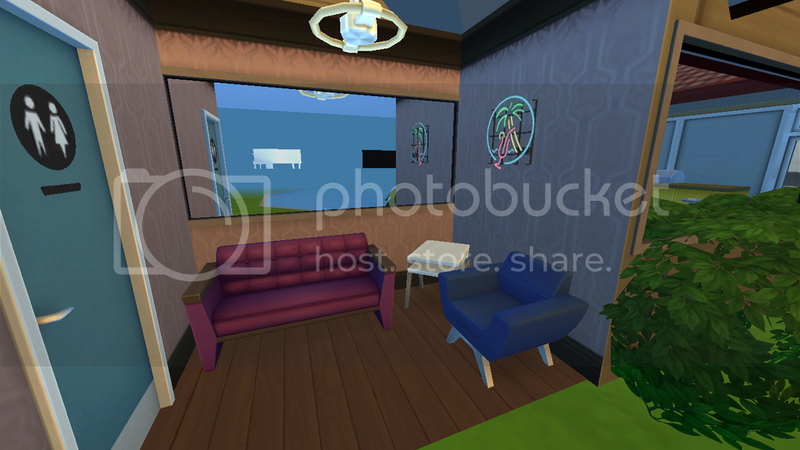 This area houses the Diary Room entrance, which is shaped like a giant eye - more coming on that soon. This area is also going to be used during evictions. Housemates will need to shut the door to the main House and let it lock before the evictee can leave the House through the main exit door. As Housemates walk through the glass door from the vestibule, they enter the lounge. For the first time in a long while the lounge is completely separate from the rest of the House. While the glass in the House makes it look a large open space, the Housemates will feel very claustrophobic in this futuristic designed room. The white washed walls are fronted with glass, including LED strip lighting that adds to the dystopian future the Housemates have walked into. The Housemate light boxes are on the wall right in the middle of the sofa area. The Sofas have taken on a red theme while two arm chairs sit at the other side. In this room however there is a door to one of two bedrooms. The modern lighting and small space will make the Housemates feel very trapped and unable to move. What else will they need to expect in the new Big Brother House? As the Housemates exit the pod like living area through the large glass wall, they are outside. 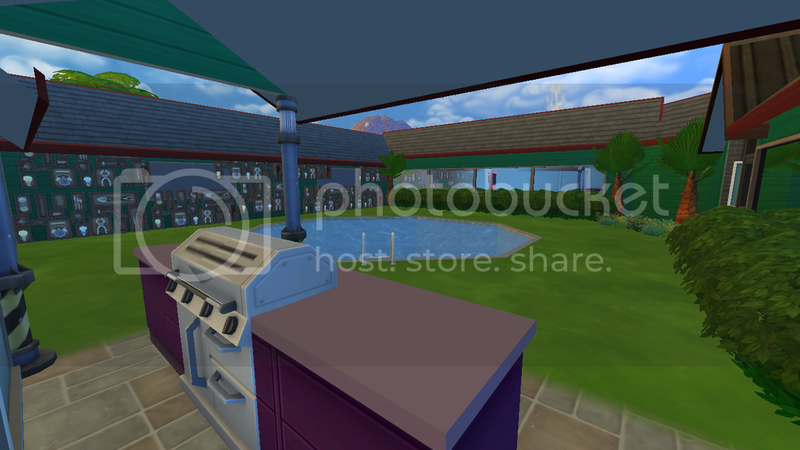 This year, Big Brother has decided to move the kitchen and dining area into the garden. The areas are sheltered and a glass wall is in place by the kitchen but apart from that it is completely open plan. Starting at the dining table, this year the table is all in one forcing the Housemates to sit together when they eat. 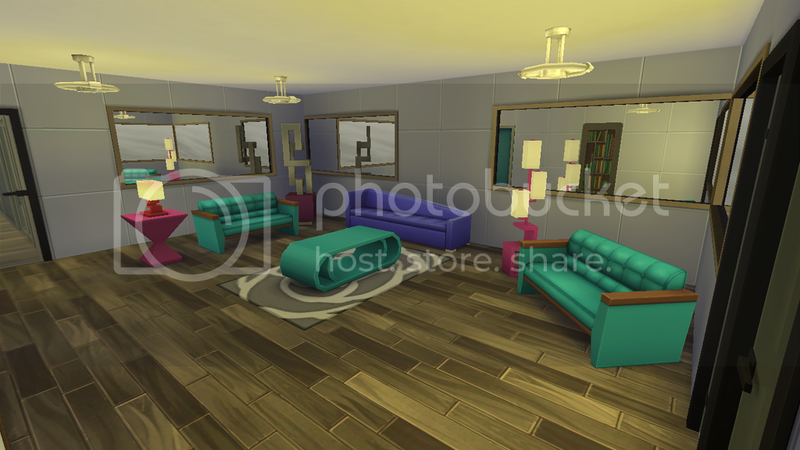 The futuristic theme continues but is also mixed in with a more modern and contemporary design as the Housemates will see. 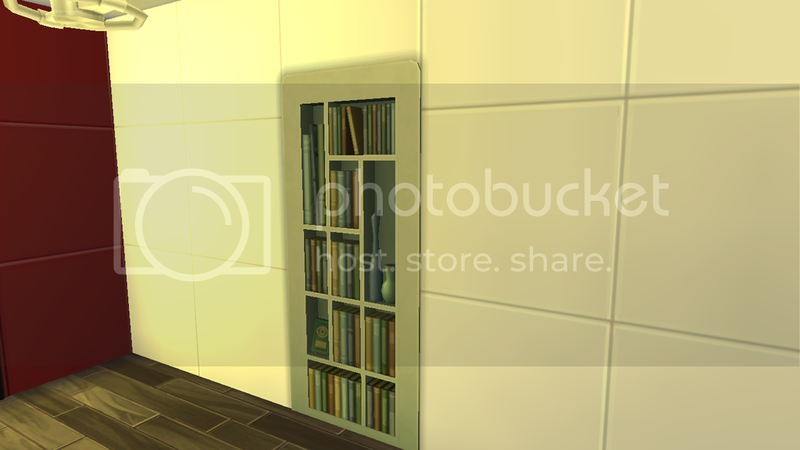 The store room is accessed via the door by the dining table. The kitchen is a small area this year but does contain everything the Housemates may need. 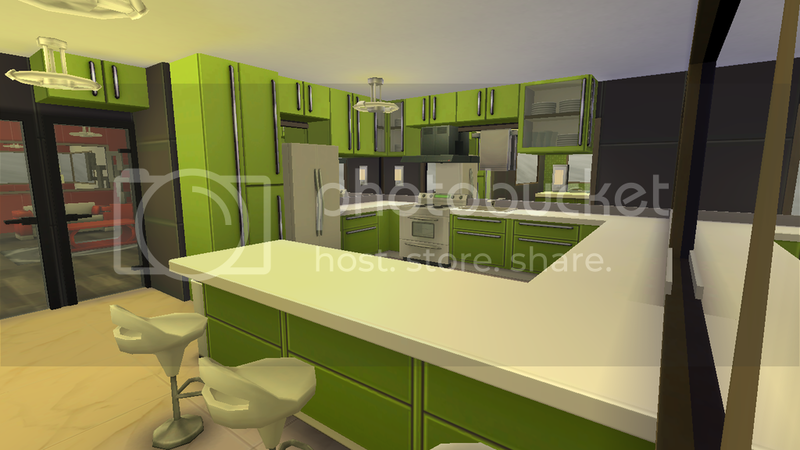 There is a breakfast bar with the sink, a large island for preparing food as well as storage units. One of the new features in the House this year is the Big Brother Interface. This can be accessed by using the iPad in the kitchen. The interface will give the Housemates the chance to BUY information about upcoming tasks, twists, nominations and evictions. They will use money from the shopping budget to access this information. Going back into the living area now, and through the glass door we enter the first of two bedrooms in this House. Both bedrooms have been designed to be contrasting, uncomfortable and awkward to live in. Futuristic designs follow into this bedroom. Housemates walk through the door which is surrounded by more of the blue strip lighting seen in the living area and into their new room. The bedroom has a lowered ceiling to make it feel claustrophobic as well as having a mismatch theme. There are eight beds in this room with four on the floor and four installed into the walls. The design of them is basic, but serves function. The walls have been given a little colour splash with changing panels which display a futuristic circuit board inside. There is also a toilet through the black door. Would you like to live in a room like this? The second bedroom is accessed through the door next to the dining area. This room is smaller than the first bedroom but again can sleep eight people. In addition, all of the beds are double beds. The room is designed to make the Housemates feel even more claustrophobic than before with a dark black colour contrasting with the pink. The beds are a futuristic curved design. One of the walls in the bedroom however is the patterned wall that is transparent in places but also has a futuristic design. How will the Housemates feel when they realise that the entire kitchen and dining area can see them sleeping? Which room would you rather stay in? Before revealing the biggest part of the House, which is the garden, we have one room left to look at. Accessed via the garden is the brand new bathroom that takes on more of a futuristic design than ever before. Neon lights and futuristic panels line the room, with the central piece being the large round bathtub in the middle of the room. Each side of the bath has the sinks, while there is a shower near the entrance to the room, a toilet and some seats for Housemates to chat to others. The lights above are surrounded by more neon lighting adding to that science fiction and dystopian nightmare feel the Housemates have throughout the House. After seeing the insides of the House, it's time to move out into the garden. This area really brings the entire House together and it is technically the heart of the House. With the kitchen and dining area open to the garden, it is one of the largest areas ever. The new garden has been designed to resemble a futuristic clinical area, while there are comforting areas, there is nowhere to hide. As Housemates walk out from the kitchen they are greeted by a large pool for those hot summer days, and can walk around the pool down to the covered smoking area. The astroturf throughout is white and green, while three dog seats are placed in the corner. Behind the smoking area and the dogs is a large spiked feature wall. In the middle of the garden are three large balls, trees surround the area and there is a small sitting area near the kitchen. While the area is minimalist, it serves its purpose. The final part of the House is of course the Diary Room. 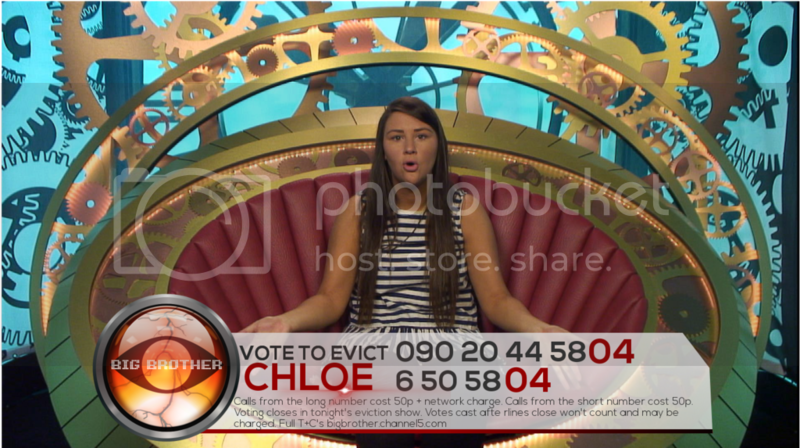 To get into the Diary Room, Housemates must enter the vestibule and will find the giant eye shaped wall. They must press the button and wait for the lights inside the door to turn green. Once they have accessed the Diary Room they will walk down a short corridor into the Diary Room itself. Inside the Diary Room is like the inside of a computer, or a very futuristic spaceship. The walls are metal and change colour, while the circuit pattern can also move in places. The chair is a large red chair which can fit two Housemates. Adding to the dystopian touches that the series has already, there would be twists to keep the Housemates on their toes. As the first 12 Housemates enter the House on launch night, they'll discover that there are six other Housemate hidden away in a secret dystopian bunker. The Housemates in the bunker won't know what's going on. The Housemates in the main House will be given access to select bits of live streaming on the plasma in the lounge - a sort of reverse bedsit. However, the Housemates in the main House will have to decide the fate of these Housemates as only 4 can enter the House. The other two will be evicted without entering the House at all. Big Brother will also switch up the nominations system on a few occasions. Instead of nominating to put Housemates up for eviction, the Housemates will nominate on who they wish to STAY in the House. The Housemates with the most nominations to stay would be safe and the rest of the House put up for eviction. Halfway through the series, Big Brother will have a mass eviction. Four Housemates will leave the Big Brother House and make way for four ex-Housemates to go into the House. These ex-Housemates won't be from just the UK. They will be from the UK, USA, Canada and Australia - the four Housemates will be in control of the House and will order the Housemates to complete tasks etc. Each task will reflect their countries respective series. The four will then decide which Housemate to reward with a pass to the final and who to evict immediately. As part of this new House design, I would return Celebrity Big Brother back to its regular January slot and only once a year. 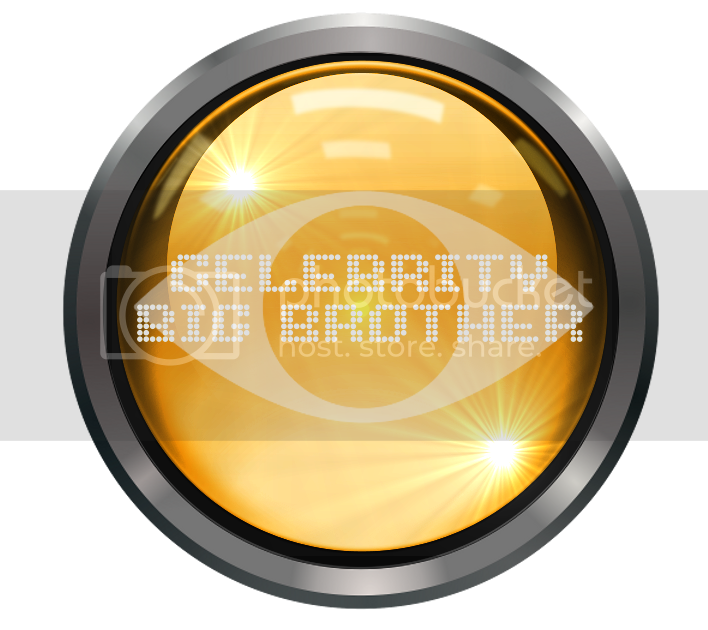 The Celebrity Big Brother House would be similar to the summer series of Big Brother but with noticeable differences in certain areas. Celebrity Big Brother would run for 30 days. The exterior stage for Celebrity Big Brother would be the same as the summer series. The exterior stage would light up in a yellow/gold colour to match the logo of the series. The entrance and vestibule hall are similar again but with more gold lighting to match the colour of the logo. The living area has a few noticeable changes. 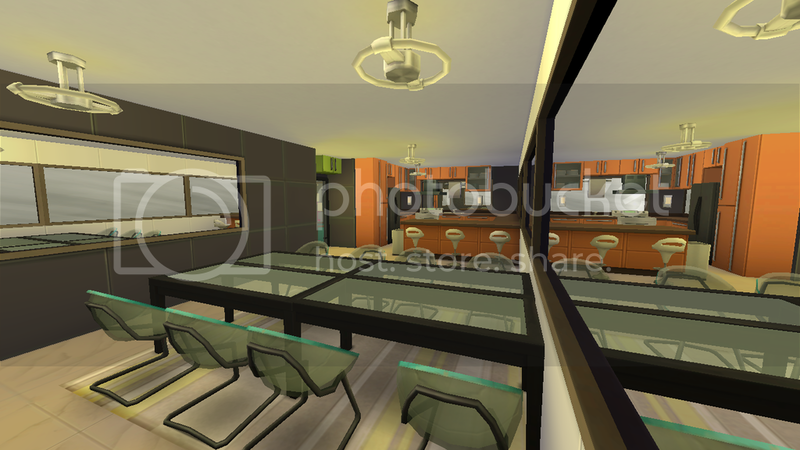 The sofas are now black and the arm chairs a golden colour, while there are more black panels of glass on the walls. The strip lighting will now also light up in the gold colour. 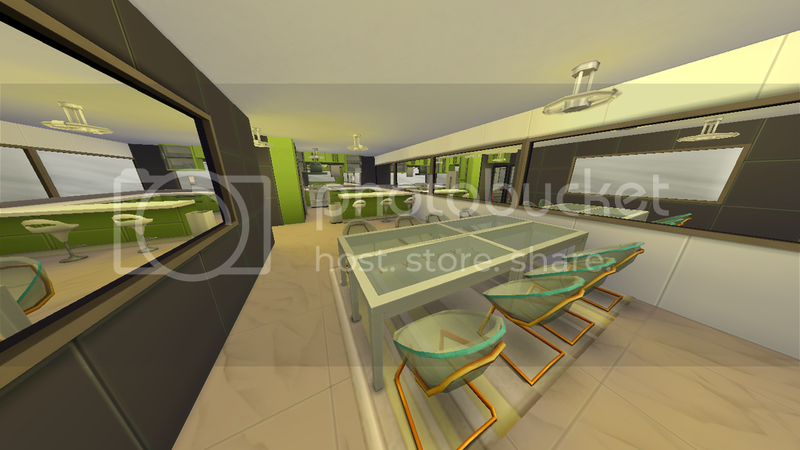 As the series will be in winter, the kitchen and dining area has been enclosed inside to keep the Housemates warm. 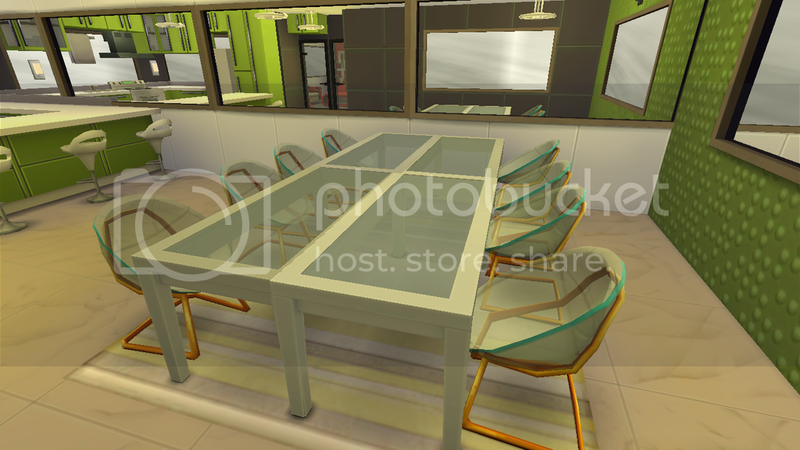 As well as this, the futuristic dining table and wallpaper has been replaced with a more comfortable design. Both bedrooms have been given a very small facelift. 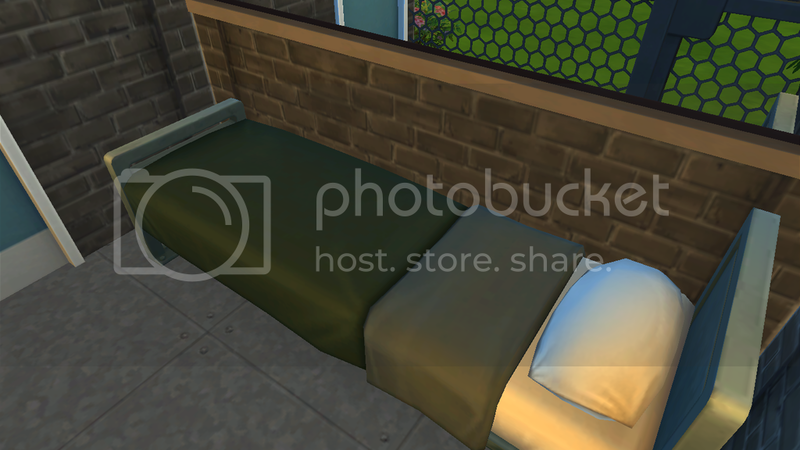 The first bedroom now has a yellow colour added into it as well as ice on some walls, and the second bedroom now has a golden glitter texture on the walls. The Bathroom has been given a bit more of a change. The textures on the walls are now stone and marble instead of the futuristic designs seen in the summer, and the shower is now a fogged up so the celebrity Housemates can shower in private. The Garden has been given the biggest change of the House. There is now an outdoor gym that is covered by a roof, the pool remains, but there is now an enclosed smoking area to help the Housemates stay dry as they sit outside. As for the Diary Room, the entrance is the same for Celebrity Big Brother just with the gold lighting. Inside there are minor changes. The lighting is now a purple colour while the chair is blue. To celebrate the 20th birthday of Big Brother UK in 2019, the series will be the biggest yet with the biggest lineup, consisting of 19 housemates and a massive house that now takes over the other house. Of course it has a twist like never seen before. The series will launch on the 4th of June, 2019 and will end on the 9th of August, 2019. The series will last for 67 days. This year, the theme of the series is annhilation. It means that every eviction, the housemate that is evicted by the public will choose another housemate to be evicted, no matter if that person is nominated or not. This theme will continue until the end of the series. 11 pm. - 12 pm. Tuesday - Highlights Show and Nominations 9 pm. -10 pm. Thursday - Highlights Show 9 pm. - 10 pm. 10.30 pm. - 11 pm. and Bit On The Side 11 pm. - 12 pm. Saturday - Highlights Show 10.30 pm. - 11.30 pm. Sunday - Highlights Show 10 pm. - 11 pm. 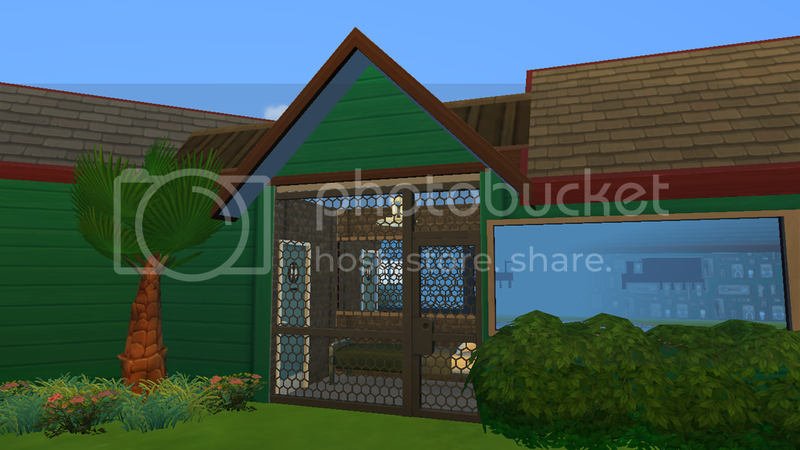 For the first time ever in the series, Big Brother house has been expanded to the areas of the other house. The eviction set has been given a new makeover with the stairs starting right from the left of the entrance to the house. When you enter the house you can right away see the straight staircase going down to the house. Down the stairs you can find the livimg space with living area on the left, kitchen on the right and dining area in the middle. On the left through the living area there's the garden which used to be the otherhouse garden, but is now the main garden with a little expansion inside the old house (where the diary room used to be). The whole ground level of the other house is used as a bedroom. There is a corridor connecting the bedroom and the living area. The bathroom is accesible through the garden and is located where the taskrooms were before. The door to the diary room is now located behind the dining area and where before was the garden. Aswell are the taskrooms. A little part of the old garden is left for fake eviction and tasks. I hope you understand the plan of the house. Big Brother Human v Robots. 7 humans and 7 robots live in a house shaped like a teacup for ten weeks. Nominations are on Tuesday and evictions are on a Saturday. The intruder will be a vampire who is allergic to blood....but is he allergic to love? mistake for that player, should he be the winner. only the questions about each houemate. they "sink" him with 20 sink points, and he or she is evicted automatically. themselves. If that exact wrong answer is given, thats 1% off jackpot + a mine - 1 sink point. on any topic other than the 20 personal questions they each know will be asked about them. and all answer correctly in two battels, they may even be sunk on the first week. Of course, the probability of all of them getting the questions right is low. that comes on after the battle means someone has sunk him and got a question right. battle booth. They only see results on the battle board in the lounge. got right, so they have to keep hiding all 20 facts about themselves. about himself, before leaving the house. "the pokerface", "the most emotional" for small prizes. be told the new replacement question so that there are again 20 sink points. 14 singles - 7 girls, 7 boys - enter the big brother "speed date" edition. instead. Housemates who are officialy "dating" in the house, will enter "love nest"
by the viewers get immunity from next week viewer voting for eliminations. eliminated by the housemates, from 3 that viewers choose to be up. love partners into the game. score each couple. The highest scoring couple win love and the jackpot. well it was pretty succesful..